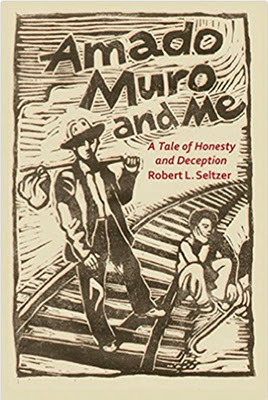 Robert Seltzer’s father was the journalist and short story writer Chester Seltzer,who wrote under the pseudonym Amado Muro. Most readers never knew he was Anglo. Born and raised in Cleveland, Ohio, Chester was afflicted, or blessed, with a powerful case of wanderlust. During his wanderings, he fell in love with Mexico. Later he married a Mexican woman, Amada Muro, whose family fled the Mexican Revolution for the safety of El Paso. In Amado Muro and Me: A Tale of Honesty and Deception, Robert writes achingly of a father he did not fully comprehend until after his death. Chester spent much time writing, and much time away from home. “His stories were heartfelt and lyrical,” his son writes, “but they exhibited a compassion toward others that should have been directed toward his family.” This memoir is Robert’s nuanced, subtly beautiful, belated appreciation.